Heart disease is one of the most contributing factors to death in the United States. The risk of a heart disease increases with one’s age. Generally men over 45 years and women older than 55 years are more prone to the risk of heart disease. Some experts say that problems of the heart may be hereditary. Here are some of the ways in which a person can reduce the risk of a heart disease. Cigarette smoking is a leading factor that increases the risk of heart ailment. Tobacco use can harm the blood vessels which causes thickening of the artery wall (atherosclerosis) that leads to less blood to pass through it, leading to heart attack. Cigarette contains as many as 4,000 chemicals and one of them is carbon monoxide. The presence of carbon monoxide in the blood cells makes it more difficult for the heart to supply oxygen. In addition to heart diseases women who smoke may also face problems during pregnancy. Even staying in the presence of people who smoke can increase the risk of heart disease. After quitting it may take up to five years for the risk of stroke to decline to that of a non-smoker. Obesity is the second biggest factor that leads to heart disease. As stated above the diet and regular exercise will help a lot in reducing your weight. Check your BMI (body mass index) at regular intervals. A BMI of 18.5 to 25 is said to be normal and try to stay in that range. BMI in some cases may be inaccurate, but it provides a general idea about your total weight. Keep an eye on your calorie intake and avoid foods that are high in saturated and trans-fats. You may ask your dietician for a calorie chart that will help you gauge the amount of calories certain foods contain and you can refrain from those foods. 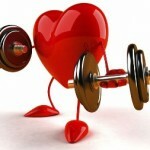 Cardiovascular exercises help a lot in keeping the heart healthy. These help in controlling your weight and keep the blood pressure normal. 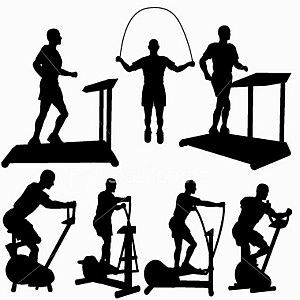 One does not have to allot a specific time for gym for cardiovascular exercises. Simple exercises for about 30 at home everyday can also help a lot. Even if you are a busy person and gets very less time for exercise- activities like taking the stairs instead of a lift or doing some household chores will also help boosting your heart and will reduce the risk of heart diseases. Your food habits play an important role in the overall health of your body and also the health of your heart. In today’s busy world, people rarely get time for a nutritious home-cooked meal and rely on packaged or canned foods like chips or biscuits etc. Try to include foods that have low-fats in them. Opt for whole grains rather than refined ones because refined grains are milled and lose many of their nutrients. Increase your intake of vegetables and fruits. Some fish like mackerel and salmon also decrease the risk of heart disease. Even a moderate use of alcohol may be good for the heart. A sound sleep also reduces the risk of a heart disease. Lack of sleep can cause diseases such as high blood pressure, depression and diabetes. It also increases the risk of obesity. Generally a seven to nine hour sleep is more than enough for an adult. Make it a point to sleep and wake up at the same time every day. Get yourself evaluated if you are having problems to sleep to check if you suffer from any sleep disorders. Many people are of the perception that check-ups are not necessary as diseases can come anytime. This is wrong as regular health check-ups help to find out if there are indications of any diseases and prevent them for occurring. In case of heart disease, these do not occur suddenly, it takes years for a heart disease to develop and health screenings can be beneficial to identify certain symptoms. Check-ups such as blood pressure, cholesterol level and diabetes screening will help to understand the overall condition of the body and help you to take steps to prevent heart ailments from happening. 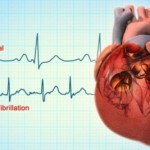 These are some of the ways in which one can prevent heart diseases. Follow them regularly for a healthy heart and to keep diseases at bay.